Jessica Stokes, Linh Nguyen and Wendy Wisniewski in Siem Reap. 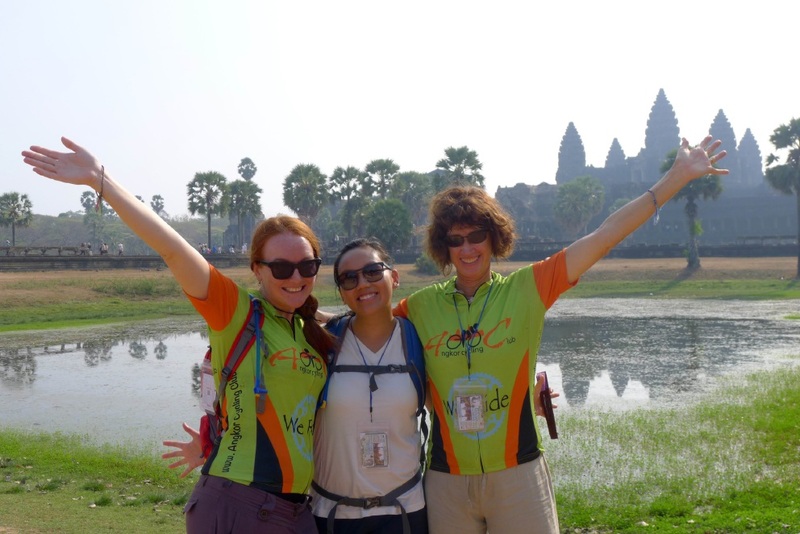 Wendy Wisniewski and two of her friends recently completed the Ride for Rights, a gruelling cycle from Ho Chi Minh City in Vietnam to Siem Reap in Cambodia, giving participants the chance to see how UN-run programs in the area were helping empower local women. Ms Wisniewski said the Ride for Rights was challenging. “It was really tough seeing such poverty and difficulty, and being aware of the imbalance between our lives and the lives these people live each day,” she said. “Women are under-represented in political decision making in both Cambodia and Vietnam, where it is difficult for them to be recognised as ‘head of the household’ even when there is no male living there. “Seeing the huge garment factories where women continue to be exploited in appalling working conditions really brought it home to us to investigate where our purchases come from, and seek to buy from ethical manufacturers.